In life, it’s easy for your personal and business worlds to collide. This is especially true when it comes to Instagram. 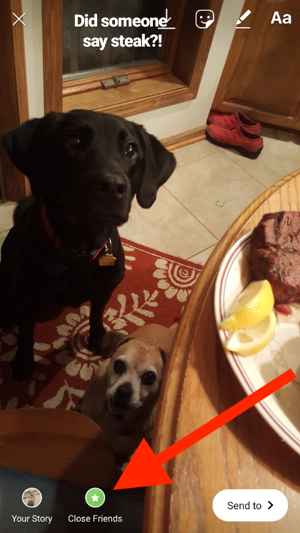 When that happens, you find yourself in a conundrum: To share or not to share. You want to share your Insta-moment with some people, just not everyone. Let’s face it, inside jokes are not meant for everyone. What is "Close Friends" on Instagram? 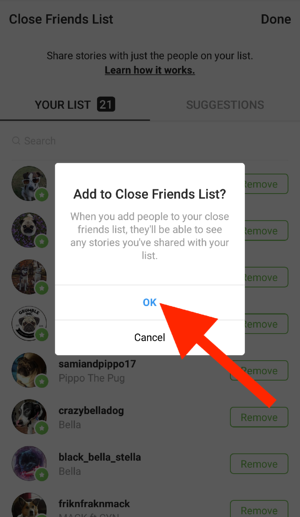 Instagram Close Friends is a select list of your Instagram follower that you can create. 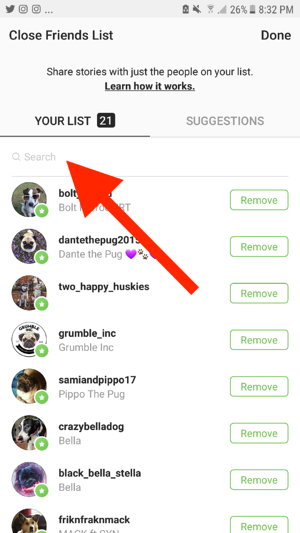 After creating a Close Friends list, you can choose to share your Instagram stories with just the people on this list -- not all of your followers. You can add and remove followers from the list any time you like. It happens to us all: You’ve got a great moment to share with the world, and then you realize...by the “world,” you don’t mean the entire world. And with apps out there showing us how to repost on Instagram, your content could get circulated through an even bigger crowd. There are two parts to sharing an Instagram story with just some people. The first step is creating your Close Friends list. The second is creating that story, and sharing it with your selected group of Close Friends. 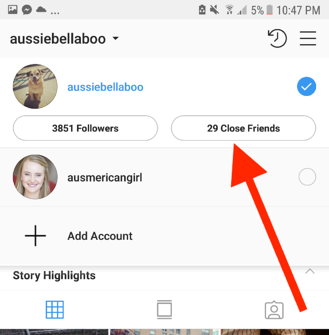 What is an Instagram Close Friends list? 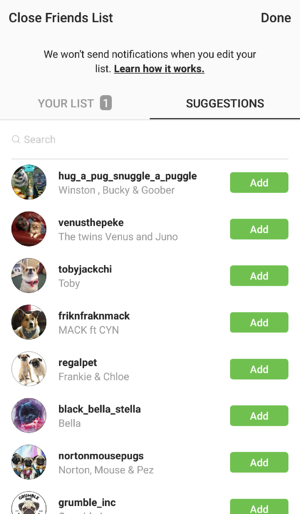 Instagram Close Friends lets you create a list of trusted Instagram followers. By sharing your story with your Close Friends list, you can choose who sees your Instagram story. 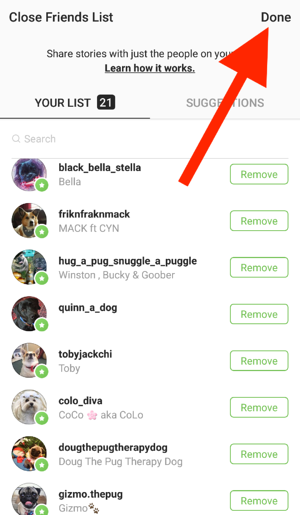 If you didn't want someone to see your Instagram story, in the past, you would need to go to your Story controls, choose "Hide Story From," and enter the person's name. However, it's easy to forget someone you want stories hidden from! In addition, with this method, it was all or nothing: you were required to hide all of your stories from them. Creating a list of friends for stories fixes this problem. Instead of choosing who doesn't see your stories, choose who does get to see them! Standard Instagram story sharing: You can share a story with all of your Instagram friends and followers; this is the tradition method of posting stories. Anyone who has access to see your profile will see your story. 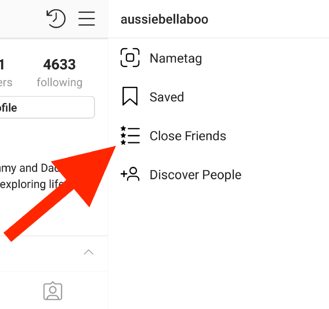 Share your Instagram story with Close Friends: When you have a post you don't want the entire world of Instagram to see, you can add privacy to your story by sharing it with just people on your Close Friends list. The number of people you put on your friend list is completely up to you. You could create a list with everyone who follows you and isn’t a business contact. Depending on your number of Instagram friends, this could be a big list! Alternatively, you could create a small list of friends you have a strong bond and inside jokes with. Here is an overview on how to make a Close Friends list; then we'll walk through the step-by-step instructions with pictures. Not sure what some of those icons look like? Begin by opening your Instagram app. After logging in, you’ll see your Instagram feed with the latest stories and posts from your friends. 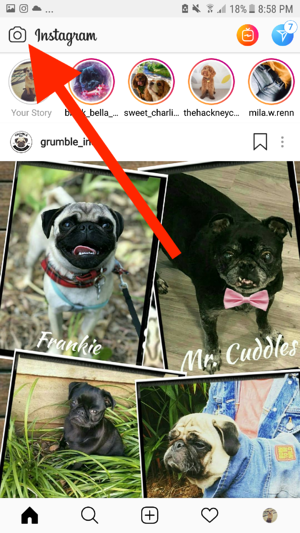 Go to your Instagram account by clicking on your profile picture, found in the lower-right corner of your screen. Now it’s time to go to your Instagram side menu. Do this by swiping left on your phone screen or tapping the “menu” icon. This is the three lines in the upper-right corner of your screen. After tapping the Close Friends button, the following screen will appear with suggestions for your Close Friends list. 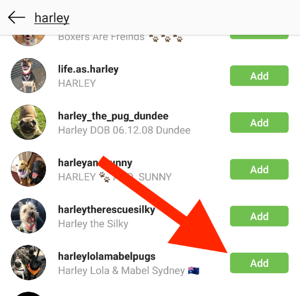 Instagram will suggest accounts for Close Friends based on how much you send that person Instagram direct messages and interact with their account. Tap the word “Add” next to any accounts you would like to add to your list. While the “suggestions” algorithm will show some of your closest friends, it’s not perfect. It is partially based on recency, and it doesn’t take long for your besties to miss the cut. After adding suggested friends, it’s time to search for and add your tried and true actual close friends. Accounts with names matching your search will appear as you type. As soon as the friend you’re looking for appears, click the “Add” button. 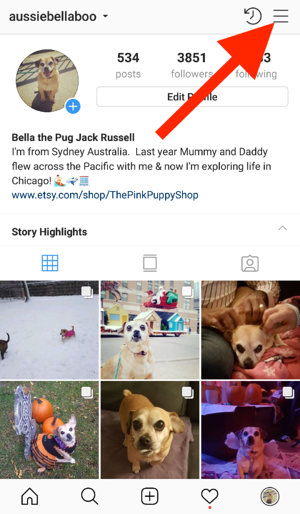 If you’re having trouble remembering the exact spelling of your friend’s Insta handle, type the first couple of letters and scroll through the results. Once you are done finding and adding friends, it’s time to save your list. 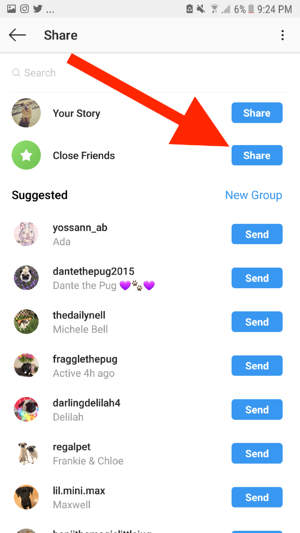 Save your new group of Instagram-official Close Friends by clicking the “Done” button in the upper-right corner. After clicking “Done,” a window will appear asking if you’re sure you want to add these accounts to your list. You have now created and saved your list of Instagram Close Friends. Well done! Now that you’ve got your Close Friends ready to go, it’s time to share a story with them. Let's start with an overview of the steps. 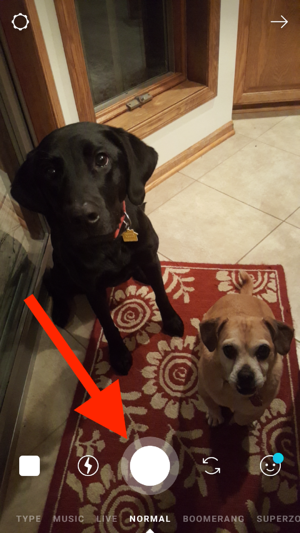 As these picture instructions will demonstrate, creating an Instagram story to share close friends is almost exactly the same as a regular Instagram story. If you find yourself on your profile page, you’ll need to go back to your Instagram feed. Do this by clicking on the “Home” icon. Now that you’re ready to share your story, it’s time to get that camera ready! Open the Instagram camera by swiping right from anywhere in your feed. Alternatively, click on the camera icon in the top-left corner. 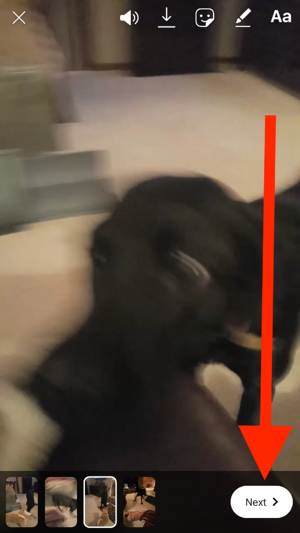 Take a picture or video for your Close Friends story using the white circular button at the bottom of your screen. If instead of taking a new picture, you can also use an image or video from your phone’s gallery by swiping up. Feel free to use the icons at the top of your screen to add any text or additional elements. Then, it’s time to share your story with your list of Close Friends! To do so, click the green badge that says “Close Friends” at the bottom of your screen. Instead of using the green Close Friends badge, you can also tap the white “Send to” button, pictured in the bottom-right corner above. 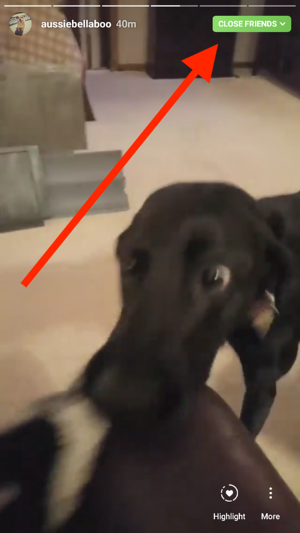 For example, in the blurry Android screenshot shown below, I’ve created an Instagram video story showing some tug-o-war fun. Notice that small green “Close Friends” badge is not there. 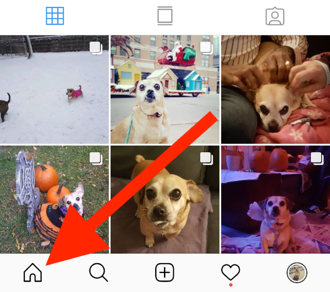 By clicking the “Send to” button, you can still share a story with your specific group of Instagram followers. On the next screen that appears, click on the “share button” next to (you guessed it!) the green Close Friends icon. Once you click the “Send” button, your story will be visible to the group of Close Friends you have chosen. However, don't disregard using Close Friends on your business account. Think of the times you choose to share unlisted YouTube videos with a specific audience. The same applies to your Instagram stories. 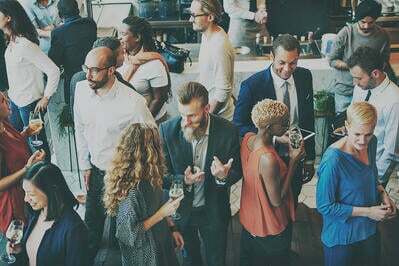 Perhaps you want to share some stories with just your customers; this will enable you to preview new products or features without giving your competition the inside scoop. 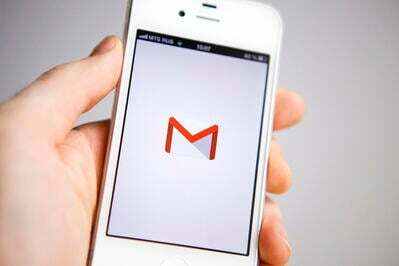 You could create a Close Friends list of prospects with specific messaging and discounts. Remember though, you can only have one list of Close Friends. Save yourself time by creating a Close Friends list that is sustainable; you want to spend more time creating and sharing stories than editing your list! How do I view and edit my Close Friends list? You can iew and edit your Close Friends list by following the same steps you did when you created your list, using the side menu in the upper-right corner. Click on your Instagram name in the top-left corner. You’ll see a number displaying your followers and displaying your close friends. Click on the Close Friends button. To take people off of your list, simply click the “Remove” button. Now that you know what a Close Friends list is, how to create one then share a story with your list, it’s time for me to answer any other burning questions you may still have. What does a Close Friends story look like? 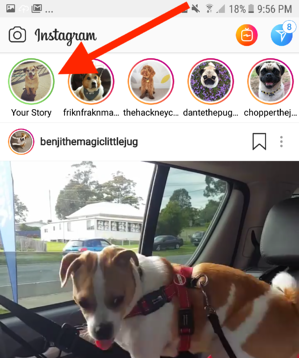 After you share your story, Instagram followers on your Close Friends list will see a green circle around your profile picture. When people on your list are watching your Close Friends story, they’ll see a green Close Friends badge in the upper-right corner of your screen. 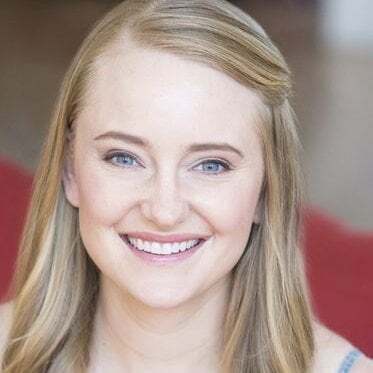 How do I know if I am someone’s Instagram Close Friend? If someone adds you to your Close Friends list, you will not receive a notification. 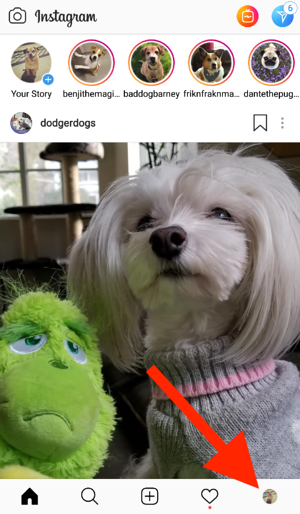 The only way to know is when you see that green circle around a profile picture, or the green badge while watching the story. So, if you see green, congratulations; you have made it into the circle of trust! Why can’t I find my Close Friends list? The feature was launched globally on November 30, 2018. If you don’t see “close friends” on your side menu, go to the app store and update the Instagram app on your phone. If Instagram is running when you update the app, you’ll need to close the app and re-open it. You may also need to restart your phone. Do Instagram stories with Close Friends still disappear after 24 hours? Yes, just like stories you share with all of your followers, Close Friend stories will disappear after 24 hours. Can I have multiple Close Friends lists? At this time you can only have one list of Close Friends. (It’s not like Facebook groups.) If you have a story you only want to share with a few people, it’s best to create a group direct message. Does it matter if my account is public or private? Your Close Friends list works inside of the privacy settings you have established. This feature is ideal if you have a public account; it ensures everyone who views your profile doesn’t have automatic access to your stories. If you have a private account, you can still choose Close Friends to share stories with. Can other people see who is on my Close Friends list? No; your Close Friends list is private. Even if you have a public account, no one can see who is on your list. Can I request to be on someone’s Close Friends list? No. 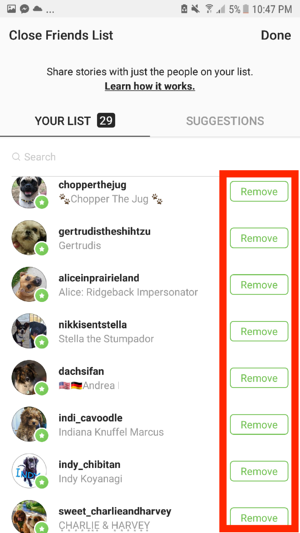 Instagram platform does not have any features which enable you “send a request” to be on another person’s list. Feel free to ask another way, though! Pick up the phone, send a text, or send an Instagram direct message. In addition to close friends, there are other Instagram features to utilize when insuring your social media security.